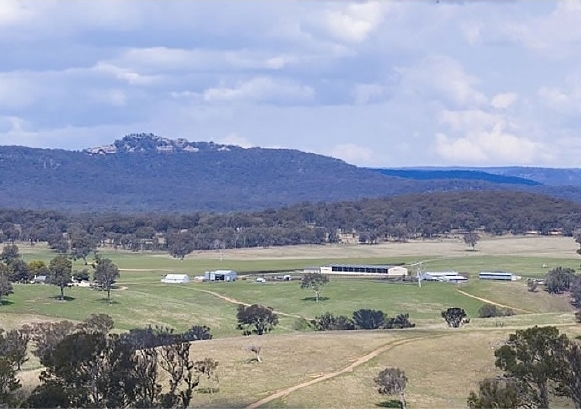 Racing NSW, the regulating body for Thoroughbred racing in New South Wales Australia, announced July 22 that it has purchased a 2,600-acre property in Capertee for the purpose of rehabilitation, retraining, and rehoming off-track Thoroughbreds. However, the organization aims for the property to be more than just an aftercare facility, and hopes it will become a larger tourism destination. "What we want to do is make it a destination. People will drive there with the intention to buy a horse, but at the same time to have a weekend away to enjoy for the whole family," said Racing NSW CEO Peter V'landys, adding that the organization plans to include other activities at the property, such as a trout fishing, trail riding, and fruit picking, along with the renovation of a farmhouse into an on-site bed and breakfast. Racing NSW used money from its Equine Welfare Fund to purchase the property. Created in September 2016, the Fund is mostly supported by the 1% deduction from all prize money paid in New South Wales. With approximately $204 million paid out this past season, around $2 million went into the Fund. The announcement of the Fund came at the same time Racing NSW introduced another annual boost in region's purses. "We've been increasing prize money here in New South Wales. So with the last prize-money increase, which was substantial, we introduced that 1% of all prize money would go into the Welfare Fund," V'landys said. V'landys said getting owners and racing connections to buy into the idea of the Fund, which comes along with a deduction of their prize money, wasn't an issue. "Because they were getting a big increase anyway, they wouldn't have noticed the 1% that was being taken out. But in saying that, the owners and all participants embrace and engage the Welfare Fund," he said. "They understand that there's a love of the horse, and that every horse that's born, even if it doesn't make it to the racecourse, will be rehomed. That's the ambition of the fund. And part of that strategy was to buy (the Capertee) property." Still in its infancy, the Fund's 1% share of prize money is set to continue and also will gain additional money from the sale of off-track Thoroughbreds who are rehomed from the Capertee property. "If the 1% funds are rehoming every horse, then we won't need to increase (the percentage)," V'landys said. "Also, we'll make revenue selling the horses... and some we don't want to sell at all, we just want to give them a good home. The ones that can (be rehomed) will assist the ones that can't (be rehomed) by generating that money. All of that money that's generated from the sales will go back into welfare." While the idea is about immediately helping the off-track Thoroughbred population in New South Wales, V'landys said he thinks the entire global racing industry will have to do something similar to take care of the horses or face becoming antiquated. "If you're in the Thoroughbred racing industry, you love the horse and you have to prove that you love the horse. So, you have to find it a home after its racing is finished and if it doesn't make the racecourse, there's an expectation now from the community that you have to look after that horse. There's a wrong perception that we breed horses to race and then waste them. We want to eradicate that perception because it's not true," he said. 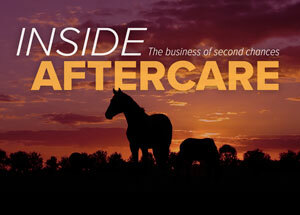 "Animal welfare is going to be one of the prime considerations of racing going forward, because the younger generation, that's the first thing they look at—what you do with your animals and how you treat your animals. We have to move with that community expectation. I think every jurisdiction will have to do it sooner rather than later because you'll look like a prehistoric sport."